Many of the problem behaviours that owners experience with their pets are often due to inter-species miscommunication. It is important to know that dogs, cats & other animals, think & act differently from us humans. Usually, the things they do that upset us are just them doing their best in a situation that they have never learned to do anything else in. Our pets aren't born automatically knowing what we want them to do, so they do what comes naturally & what works for them, which may often cause frustration, annoyance & embarrassment to their owners. The great news is that, using up-to-date, kind & fair training methods, Inspiring Pet Teaching can teach you & your best friend to communicate effectively, replace “bad” behaviours with good ones in those problem situations & get your relationship back on track! We will help you bring out the best in your pet, turning seemingly impossible difficult behav­iours into great manners. All pets can learn good man­ners, & yours is no excep­tion. While training with your pet takes patience & consistency, you'll be amazed at the progress you can make & how quickly behaviour can change! Manners - attention-seeking, jumping up, counter-surfing, rushing to the door, etc. Pulling on the lead &/or not coming back when called. Inability to focus on you +/- too much interest in everything BUT you! Problems with other dogs, or other animals. Introducing new pets, e.g. from a shelter/rescue organisation; or bringing additional pets into household. Crate training, in the home or for travel purposes. Private lessons on any of the content covered in our class curricula. Providing mental stimulation & environmental enrichment, e.g. for dogs & other indoor pets, such as cats (especially those who live in multi-cat households, or for those diagnosed with idiopathic cystitis). Often, dogs & cats following surgery, diagnosed with osteoarthritis, &/or on an weight loss program, may need modifications to their home environment to enhance comfort & quality of life - Inspiring Pet Teaching can help you implement these changes & create personalised training to build confidence & ability in your pet. 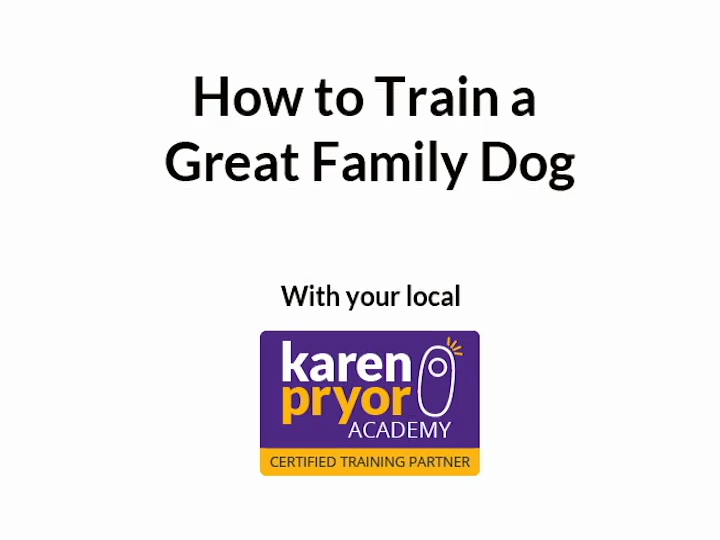 Helping dogs & owners learn skills & prepare to join group classes. Tutorials for owners on training & clicker skills - this may be useful for pet dogs & other animals +/- pre-sport/working/service dogs. Just like humans, pets sometimes suffer from more serious problems too, which may impact on their, & your, quality of life, as well as disrupt relationships between family members & other pets. Some of these behaviours may manifest as distress, fears & phobias, aggression, guarding of resources. For example, dogs may show reactive or fearful behaviours towards triggers , e.g. strange people or other animals, fireworks, thunder, the vet practice +/- groomer, being alone, car travel, etc. Linda is a Veterinary Technician Specialist in Behaviour, a qualified trainer & behaviour practitioner. She will help you work on specific behaviour problems, often in collaboration with your veterinary practice +/- veterinary behaviourist, who we are always happy to work alongside. Using sound scientific teaching techniques, we will create a behaviour management plan which is kind & fair to your pet to help him learn to be relaxed & make good choices in stressful situations. There are many reasons you may choose to consult privately with Inspiring Pet Teaching, not least of which being that you & your pet get undivided personal attention & a tailor-made training plan! We operate one-to-one training sessions for a multitude of species, including dogs, cats & other pets. Using clicker training & the fundamental principles of behaviour change, we can teach animals any behaviour that it is physically & mentally capable of! Our one-to-one training services are our speciality - we believe you get the best value for your time & money, & achieve your specific goals quickly. We cover all bases - from early learning & socialisation, life skills & manners, fun & games, to behaviour change for problems-solving. From youngsters to oldies, tricks to troubleshooting, improving veterinary patient care & home husbandry - we're here & ready to help you be successful. Whilst we all want to have warm, fun & communicative relationships our pets, sometimes things go a little off the tracks. Initial consultations are likely to last for two hours, during which we will discuss your concerns, take a thorough history, & start training. Subsequent sessions are generally ~one hour each, & very practical. Usually we will come to your home to ensure that your pet is relaxed & comfortable in his own environment, & to enable us to understand his home situation. By mutual consent, sometimes we may meet at an outside space, your veterinary practice, groomer, etc. We will teach you how to work successfully with your pet. To get started, please contact us for further details about any of your pet’s training or behaviour management issues, or any aspect of our one-to-one behaviour management services. Read more on our resources page.